A Pawleys Island vacation is all about relaxation, but that doesn't necessarily mean that your fitness regimen has to take a back seat. As a matter of fact, Litchfield Beach and Golf Resort offers so many great options to stay in shape that you might end up ramping up your exercise program! Check out these great ways to keep active during your trip to Pawleys Island at Litchfield Beach and Golf Resort. The Health Club at Litchfield Beach and Golf Resort offers guests one of the finest fitness centers available along the entire Grand Strand. This fantastic amenity is available to all guests of the resort for the entirety of their stay. The Health Club is open for guests daily from 6:00 am to 9:00 pm. Inside the Health Club, a recently-renovated fitness center provides a well-stocked array of exercise equipment. Work on your cardio on their treadmills, stationary bikes and ellipticals, or if you're ready to pump some iron you can do so with their large assortment of free weights and weight machines. The Health Club also offers a racquetball court, and after an intense workout you can soothe your muscles in the steam room and sauna. Pools can be great for recreation or relaxation, and there is no shortage of aquatic amenities around Litchfield Beach and Golf Resort! The Health Club offers a large heated indoor pool ideal for lap swimming. They also offer water aerobics classes that guests can participate in (fees apply). Outside, the resort also offers a large outdoor pool. Litchfield Beach and Golf Resort is located along the beautiful Waccamaw Trail between Murrells Inlet and Pawleys Island, and this gorgeous area is perfect for exploring on bicycle. Fortunately, if you don't have your own, the resort offers bicycle rentals! Guests can rent bikes for 3 hours for $12.00 or 24 hours for $15.00 (only $5.00 for each additional day) and cruise through a number of scenic bike trails running throughout the property. As you can see, Litchfield Beach and Golf Resort has plenty of great ways to keep up your active lifestyle during your Pawleys Island vacation! And once you're ready to kick back and relax, we've got you covered there too, whether it's by renting a private poolside cabana, lounging on the pristine beaches of Pawleys Island or grabbing a cocktail and dinner at Coastal Dish Lowcountry Dining. 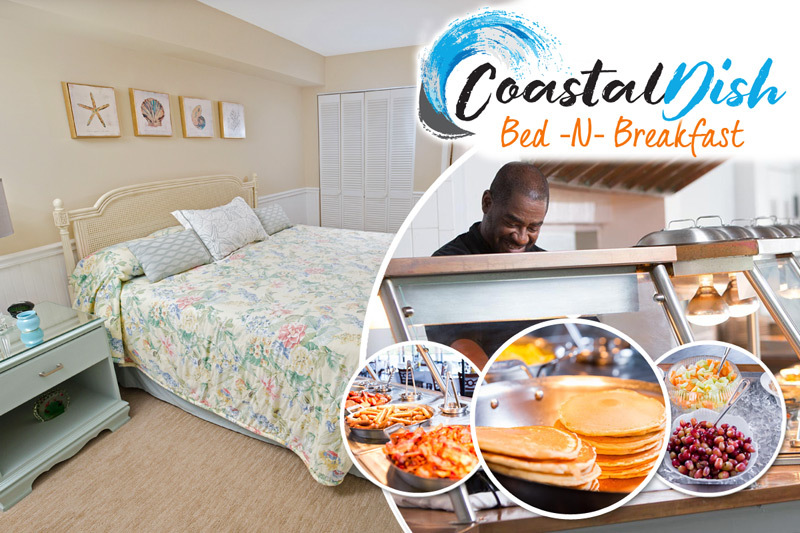 Book your trip to Pawleys Island today and let Litchfield Beach and Golf Resort treat you to an unforgettable lowcountry vacation!